What would it feel like to start a successful business with almost no startup cost? There are thousands of people everyday who are doing just that! HOW WOULD YOUR LIFE CHANGE IF YOU ACHIEVED YOUR DESIRED FINANCIAL FREEDOM? In today's episode, I share with you the exact steps on how to get your first Amazon FBA sale within two weeks. You'll also find out what products to search for and how you know which products will sell quickly and allow you a quick inventory turnover thus increasing your profits and getting you one step closer to financial freedom! Tons of people always ask me what it takes to build a successful amazon business. While I could respond to each person, I figured it’d be best to create this podcast episode. It may sound cliche, but I had no money to begin with and no experience. Guess what, I was the same as you. I was working at a bar when I launched my business and could barely make it by. You’re probably thinking that you can’t take any risks. I’m here to tell you how you can achieve results right away and eventually create the financial freedom you desire. We will have start small and get results and then systematize your business to have it go large scale. The number one priority that you should have for yourself should be getting your first sale on Amazon. Because once you get your first sale on Amazon, you can repeat the process over and over again. The best strategy for easy success with Amazon FBA is retail arbitrage. When someone’s looking to start an Amazon account with little money, that’s the strategy they use. 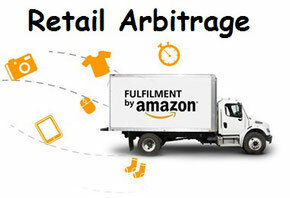 What is retail arbitrage? It’s when you go into a retail store and find bargains, essentially items that are super cheap and then selling them on Amazon. 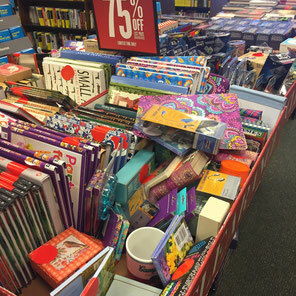 Retail arbitrage doesn’t take any skills and you can get started right away. For now, just start with arbitrage. I recommend downloading the Amazon Seller app on your phone right now. With the app, you’ll be able to scan barcodes on your phone and then you’ll be able to see the price it’s selling on Amazon with tons of other information. All you have to do is wander around stores and find products that’ll give you a profit. You want to make sure that the product you’re buying will sell fast and that you’ll be able to make a profit. You will want your stock to be as good quality as possible. This allows you to get your money back quickly and increase your inventory. On Amazon, you have the best sellers rank. You’ll be able to see your products rank. When you see your products rank, you’ll be able to determine how fast it will sell. You will want to find products that have a super low best seller rank. To make it simpler for you, you’ll want to find products that have a best seller rank lower than 50,000. Understand that it will take you a long time to find a quality product. Sometimes you might need to scan a hundred products just to find one product worth selling. Think about it, one product find could change your entire life. I found one product early in my amazon journey. I found the product for five pounds at a DIY store and realized I’d be making thirty pounds every time the product sells. The best seller rank also happened to be low. Within an hour of me putting the product on amazon, I sold it. I want to warn you, the story I told you is not typical. Generally, you’re going to start out with a smaller profit. However, profit is profit at the end of the day. Remember, focus all your energy on getting the first sale. Before you continue reading and get information overload, you should set up your Amazon seller account. I recommend starting out with an individual seller account as the business account is forty pounds per month. Any basic questions you have, you’ll be able to ask Amazon directly. Once you have your selling account setup, you should go to as many shops in your area as you can to search for products. You can send your products into Amazon FBA. Amazon FBA means fulfilled by amazon. You send your products into Amazon and then they’ll take care of mailing your products for you. All it takes is your first sale to get you kick started. Eventually, you’ll be able to outsource your business down the road. It’s one thing to find a few products. It’s another thing to turn this into a business. You will go out three to five days per week for at least an hour per day looking for products. Be as consistent as you possibly can. The more you go out, the chances of you finding quality stock go up dramatically. You’re taking the element of randomness out. The more stock you have in Amazon, the more products you’ll be able to sell. How you make consistent sales starts with the system you set up. Your goal starting out should be sending in a shipment of products to Amazon every week. Always be on the lookout for new locations that you can find products. The more areas you go to, the easier it’ll be to find good products. You might start off at a sale per month but if you keep at it and maintain consistency you’ll start to see your sales go up dramatically. You can improve your business if you’re measuring what you’re doing. 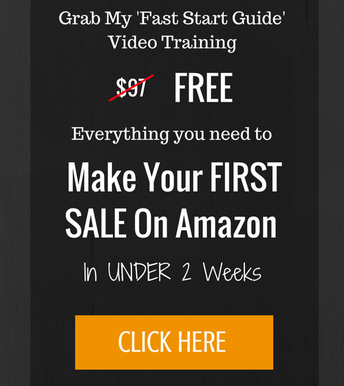 Create a spreadsheet for everything you do with your Amazon business. This will allow you to track all the products you have and the profits you’re making on them. Track absolutely everything and focus on improving each metric. Even though I told you what it takes to succeed in creating an Amazon business, why do some people still fail? A lack of consistency and persistency is what will allow you to fail. There’s an app you can use called coach.me. This app was super beneficial for me when I was starting my business. The app gives you a notification each day on your phone. The point of the notification is to help you build a habit. After a few days, you’ll build up a hot streak. Once you build up the streak, you will not want to break it. There might times when you feel like you’re failing. I failed so many times when I was starting out. It’s part of being an entrepreneur and starting a business. If you continue pushing even after you’ve failed, you’ll be part of the three percent of people who succeed. Accept your failure and build it into your plan to fail forward. The excuses that you make, everyone has them. Are you willing to overcome your limiting beliefs? Do you want to be disappointed with your life? What do you have to lose if you’re not living the life you desire? If you fail, you go back to living the life you were already living. Once you are consciousness about your limiting beliefs, then you’ll be able to conquer them. There will always be someone in the position that you’re in right now that has become successful. Write your number one goal right now. Look at that goal every single day while you’re building your business.